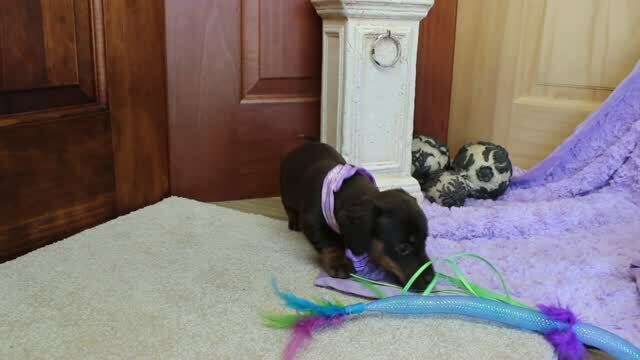 Cash Playful Little Miniature Dachshund Boy! Est. Adult Weight 10 to 12 lbs. Contact us at 417-293-4468 to discuss details of making Cash part of your family! 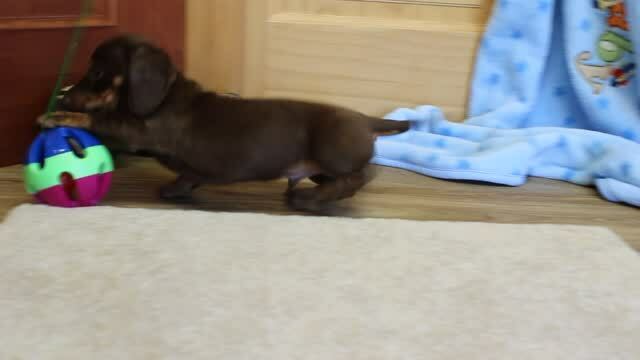 Cash is a chunky little miniature Dachshund boy!!! He sports a smooth chocolate and tan pied hair coat. He is charting to mature 10 to 12 lbs. He has gorgeous green eyes that sparkle with a hint of mischief. He has a playful fun loving disposition and will keep you laughing with his funny little antics! He was born on 2/18/19 and will be ready to join his new family after 4/15/19. His $975.00 fee includes pet registry, written purchase agreement/guarantee, all age appropriate vaccinations and preventive care, medical record, health examination and certification. You receive a copy of your puppies veterinarian health examination results before your puppy leaves our care. Transportation to the major airport nearest you is available at an additional cost starting at $300.00 and depending on your location. Ground transportation to select areas is available for $60.00. All transportation costs includes puppy's personal travel kennel yours to keep and use in your home. Mya Gorgeous Tiny Miniature Dachshund Girl! Est. Adult Weight 8 lbs. Mya has gone home to Makenzi! Contact us at 417-293-4468 to discuss details of making tiny Mya part of your family! Look at those big green eyes!! How can anyone resist? Mya's easy care smooth hair coat is chocolate and tan. She has a few white hairs on the tip of her tail and on her chest ensuring she is a carrier of the pied gene. She is charting to be 8 lbs when mature. This little girl is as sweet as she can be. She loves to cuddle but she can really turn on and give you a show when you get her in a playful mood. She was born on 2/18/19 and will be ready to join her new family after 4/15/19. 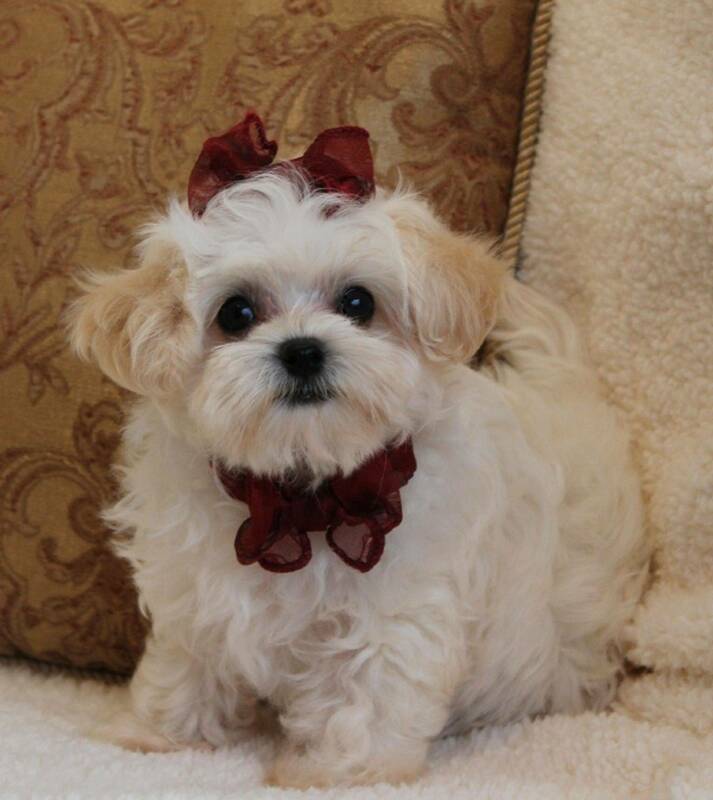 Mya's $1400.00 fee includes pet registry, written purchase agreement/guarantee, all age appropriate vaccinations and preventive care, medical record, health examination and certification. You receive a copy of your puppies veterinarian health examination results before your puppy leaves our care. Transportation to the major airport nearest you is available at an additional cost starting at $300.00 and depending on your location. Ground transportation to select areas is available for $60.00. All transportation costs includes puppy's personal travel kennel yours to keep and use in your home. 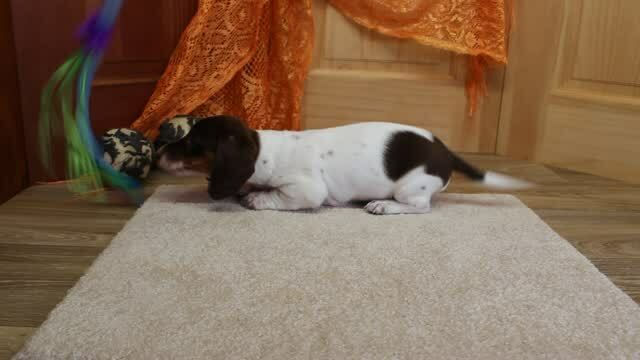 Handsome Little Wilkins Miniature Dachshund Boy! Est. Adult Weight 9 to 10 lbs. Wilkins has gone home to Rick and Patti! pet registry, written purchase agreement/guarantee, all age appropriate vaccinations and preventive care, medical record, health examination and certification. You receive a copy of your puppies veterinarian health examination results before your puppy leaves our care. Transportation to the major airport nearest you is available at an additional cost starting at $300.00 and depending on your location. Ground transportation to select areas is available for $60.00. All transportation costs includes puppy's personal travel kennel yours to keep and use in your home.